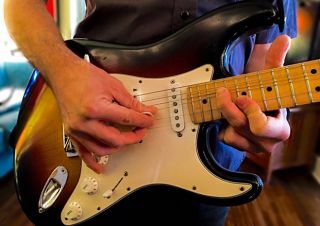 Get your fret-hand chops in shape and develop excellent fretboard “traction” with this lesson. Some cool things you can do with drop-D (with an emphasis on unusual melodic intervals). I want to briefly touch upon a subject many guitar players (and musicians in general) seem to have a difficult time understanding. Guitar players are usually on a mission to improve theirguitar tone. For many, this journey never ends. I dare say we're obsessed with it.